If you were injured because of another person’s negligence, you are entitled to be compensated for your injuries. You may be worried about paying your medical bills, making ends meet if you are unable to work and the cost of fixing any property damage. Although it might seem like a large undertaking, an experienced Sonoma County personal injury attorney from our law firm can help guide you through the legal process. In most situations, when a person files an injury claim he or she is eligible for two types of compensation — special damages and general damages. 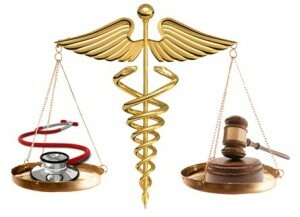 Special damages cover specific expenses such as lost wages, future lost wages and medical bills. Anything that an injured person needs to pay for out-of-pocket might be covered by special damages. General damages are less concrete, and often involve emotional damage or pain and suffering. Our fees are contingent on your recovery. If you are not paid or awarded any money, we will not charge a fee. If you were injured because of another person’s negligence, we can help you recover the financial settlement you need to move on with your life. We understand that no amount of money can amend your injuries, but it can help alleviate financial stress. Contact our local personal injury lawyers online or call 707-894-5000 to schedule a consultation to discuss your case.